The U.S. Food and Drug Administration (FDA) has approved Movantik (naloxegol) tablets drugs that are used for the treatment of constipation, Nektar Therapeutics (NASDAQ:NKTR) has said. In the statement, the pharmaceuticals company announced that the drug has successfully gone through the agency’s approval intricacies to attain their approval as a treatment of constipation caused by opioid pain relievers. Opioids are the necessary evil. They are widely used in the U.S. and other parts of the world to help contain chronic pain. They are very effective drugs and are often prescribed to patients who suffer from conditions that aren’t readily treatable and thus needs pain relievers that can be used over a period of time. The use of opioids is a known cause of constipation, which subsequently needs to be contained. And that’s what Movantik does. AstraZeneca plc (LON:AZN), a partner British pharmaceutical company will be roll out the marketing of Movantik and will steer the regulatory approval process in both the European Union and Canada, a process the company said to have embarked on. Nektar Therapeutics (NASDAQ:NKTR) said that the Movantik will be available for patients in early 2015. The drug comes as the first once-daily oral peripherally-acting mu-opioid receptor antagonist (PAMORA). AstraZeneca plc (LON:AZN) will be carrying out extensive research to identify cardiovascular side effects of the drug, if any. 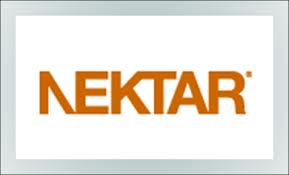 In the financial markets, Nektar Therapeutics (NASDAQ:NKTR) saw a slight improvement of 2.5% to trade at $13.87 while that of AstraZeneca plc (LON:AZN) experienced a 9 cents decline to $73.69.